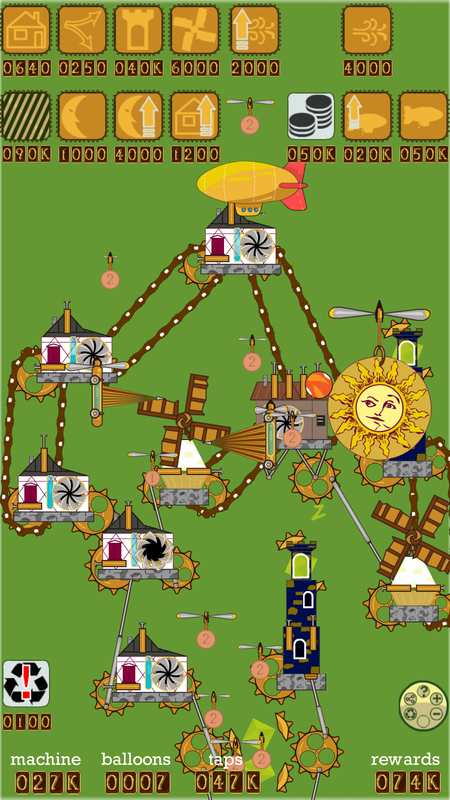 Steampunk Idle Spinner is a game where you build an incredible steampunk machines and spin the cogwheels to earn the money and expand your awesome contraption even more. Besides spinning tapping some elements is involved in the money producing process, there are also plenty mechanisms for idle income. The basic idea of the game is to let the players travel to various steampunk (dieselpunk, clockworkpunk, gas lamp fantasy) worlds from the Portal, which generates Narrativium, a fuel for such travels. Up to now there was only one world: Workshop which has cogwheels, balloons, mines, hammers and engines. The newest update lets you enter the Clockwork city world. 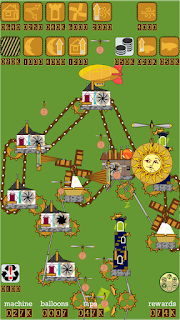 The main source of energy there is the sun, which works like a cogwheel. Buildings are attached to it via a complex system of gear. They are unfolded (just like in that popular TV series intro, you know what I mean ;) ) and start generating revenue. There are also tax collectors on zeppelins, rotating sun, power generating crystals and other interesting stuff. Clockwork City world provides you additional ways for earning money (besides spinning the cogwheel, tapping the coins and catching the gremlins). There are 4 more interactive elements in this city which react to your taps and swipes: will you find them all? Many other requested adjustments were made, performance optimized, restart screen reworked, parameters readjusted, interface tweaked. Have fun and share your suggestions!